We have evaluated change order pricing and value engineering proposals for owners as well as contractors. 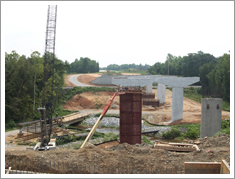 Our firm can provide quantity surveys and earthwork take-offs utilizing AGTEK Earthwork 3D. Using this program, we can generate detailed cut/fill reports, three dimensional views and site drainage information. We can also evaluate site earthwork balancing scenarios. Our services can be customized to fit your needs. We are ready to work with you in supporting your cost estimating needs.